Free download service and owner's manuals in PDF for Bayliner boats. 1700FT / 1703FS / 1802FJ / 1900FG / 1903FE / 2002FF / 2103FA / 2160/2302/2352/2359/2460 / 2503FM / 2509FW / 2802FH: The instruction manual (Owner`s manual) in English. Format: PDF, size: 19.9 Mb. The instruction manual (Owner`s manual) in English. Format: PDF, size: 3.9 Mb. 185/195/205/212/225: Owner’s Manual in English. Format: PDF, size: 24.9 Mb. Operation manual (Operating manual) in English. Format: PDF, size: 2,3 Mb. Bayliner company is engaged in the production of relatively inexpensive cruisers, sports (Capri) and fishing (Trophy) boats. Established in the USA in 1955. Excellent value for money, modern design and record production (almost 30,000 units per year) make Bayliner the undisputed leader in the shipbuilding industry. 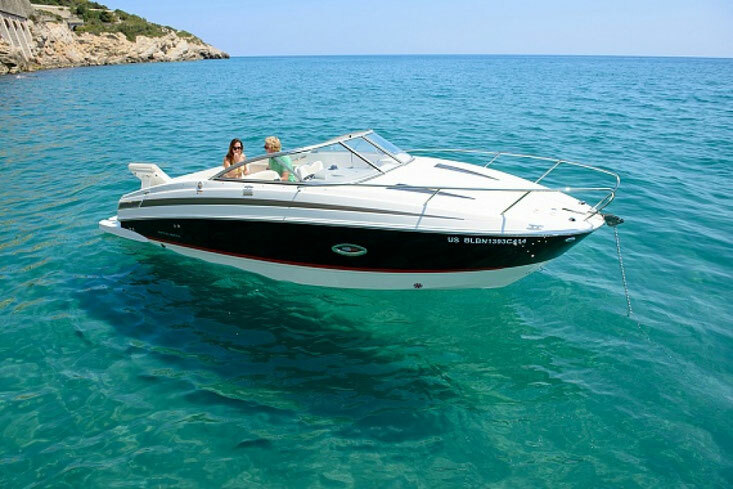 Bayliner, a brand of Brunswick Corporation, one of the largest shipbuilding corporations (Bayliner, Sea Ray, Hatteras, Meridian, Boston Whaler).